It’s almost Easter and Aussie families everywhere are preparing for the great annual Easter road trip. 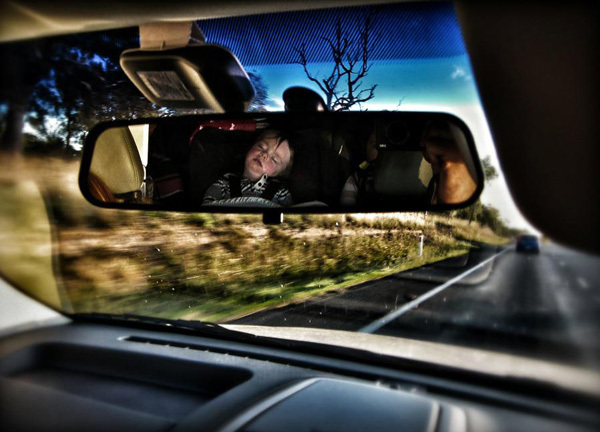 When you have precious cargo on board, you want the journey to be as safe as possible. 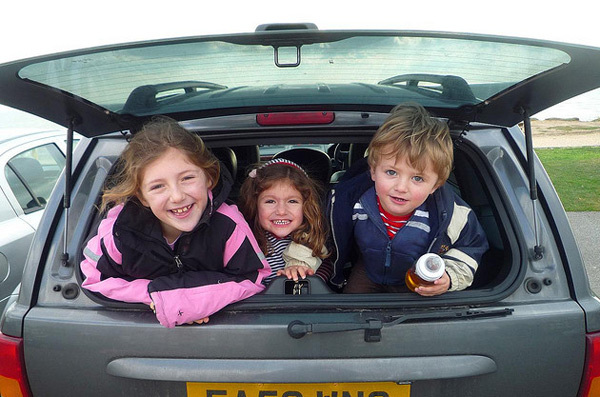 We’ve put together a guide of things you need to know to keep the kids safe and comfortable in the car. 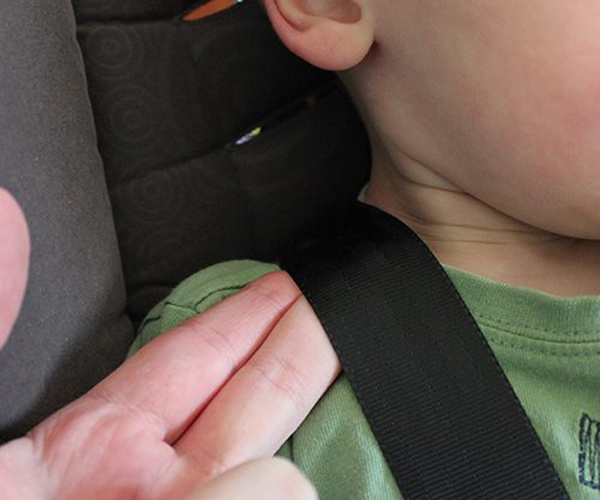 The first thing to do before heading off is to make sure your child restraints are in good condition. Look the seats over carefully for any signs of cracking or wear and check the harnesses and straps for any tears or fraying. Make sure all the tether straps securing the child seats to the car anchor points are tightened – these can loosen over time. Check too to make sure that your child fits in the restraint – make sure their shoulders are at or below the correct shoulder height marker and that the harness belts are not twisted. Infasecure has some handy printable child restraint checklists detailing exactly what to look for. Always make sure that the harnesses are a snug fit when your child is strapped in – a good rule to remember is that you should only be able to get one or two fingers under the shoulder straps. Any more, and the harness is too loose, putting your baby or child at risk. For older children in booster seats, the seat belt should sit comfortably on their shoulder, not dig into their neck, while the lap belt should sit across the hips, not the stomach. On that note, it’s important not to strap your child into their restraint when they’re wearing bulky clothing, like a parka or thick jacket. If you’re travelling at night or in cooler climes and you’re worried your child might feel the cold, just strap them in as normal, use the car’s climate control system to create a comfortable in-car temperature and give them a blanket to snuggle with over the top of their harness or seat belt. The same goes for babies – never, ever swaddle or wrap them in a blanket before strapping them in. It’s horrible to imagine, but in the event of a crash, blankets and too-thick clothing can actually compress and prevent the harness from locking on the shoulders, potentially throwing your baby and even your toddler right out of their restraint. The best thing to do is simply tuck a blanket over their restraint once they are safely secured. 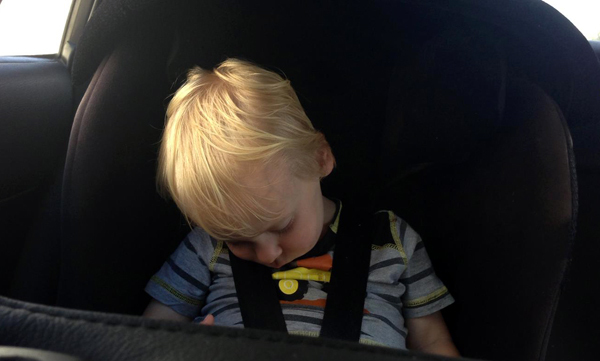 Now, I don’t think there’s a child alive who is immune from nodding off at some point on a long car ride. There’s something about the gentle rolling motion of highway driving that wears them all down eventually, especially if you are travelling at night. So how to stop the dreaded forward head slump? There is a solution, and it doesn’t involve any of those travel pillows or devices, which can actually be quite dangerous for your child. The most important thing you can do to minimise or avoid head slump is to make sure that your child restraint is installed correctly and that the seat you use is a good fit for your child. If the restraint is adjustable, recline it just enough so that your child can comfortably nap without their head lolling forward. If the problem is the angle of the back seat of the car, a rolled up towel or nappy under the restraint can help. Thanks to our friends at Infasecure for helping us provide you with this important information for keeping children safe in the car. Before you hit the road, make sure to check our post from last week that revealed nine clever ways to survive the Easter road trip with kids in tow. Then visit Infasecure to find out more about child car restraints. Happy and safe Easter road trip, everyone!